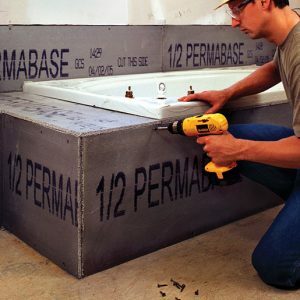 PermaBase Flex® is a polymer-modified cement board reinforced with an alkali resistant fiber mesh. 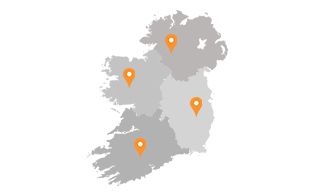 The flexible cement board is ideal for use around beams, columns, archways, curved walls, ceilings and anywhere an evenly curved surface is required. 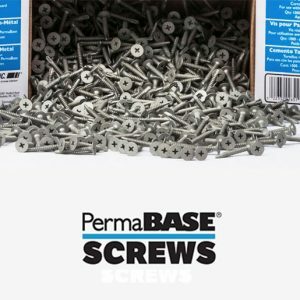 PermaBase® Screws are corrosion resistant screws specifically designed to be used with PermaBase Cement Boards. 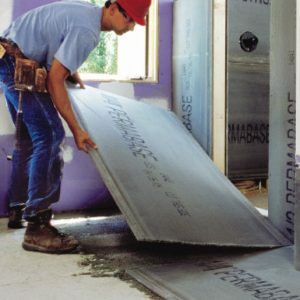 The are used to attach PermaBase Cement Board to wood or steel studs, plywood subfloors, ceilings and countertops. 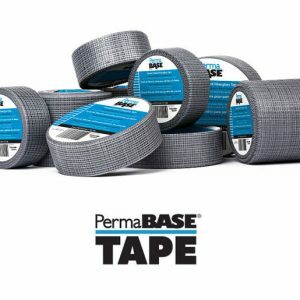 PermaBase tape is an alkali resistant fiberglass tape. 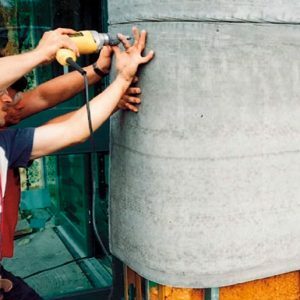 The tape is especially designed to reinforce PermaBase cement board joints and corners.